The very long and treacherous Jerry Jerroo crossing. There were some deep holes in there! This year is speeding by so fast I can’t believe it. So much has been happening around our area, I’ll start with our road, The Dowling Track. 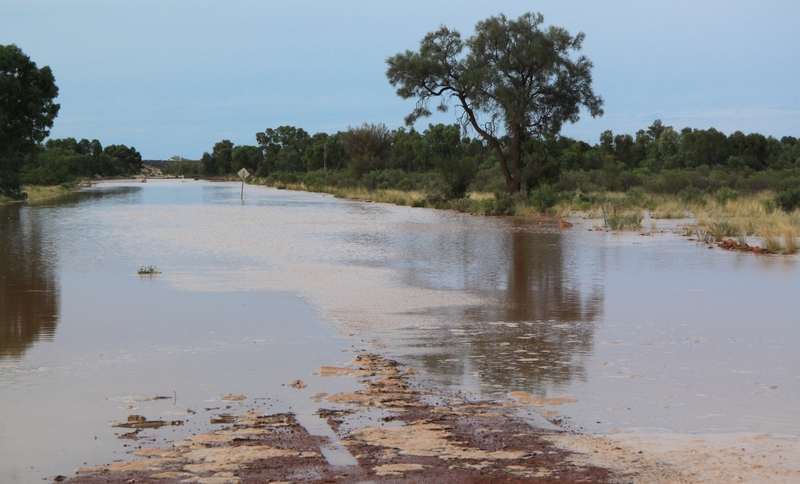 The Bulloo Shire received lots of government money to fix flood damaged roads and ours was one of them. Contractors have been working on it for about 9 months now. The bit we were all busting to see fixed was the Jerry Jerroo creek crossing. Well fair dinkum those blokes would get just so much done on the job and then go off for two weeks break. They would park all their machinery up on the side of the road for two weeks and one time I made a big sign and stuck it to the front of one of the graders, it said “ For Sale! !” It would rain again and fill the road and crossing up with water, mud and silt once more so they couldn’t work on it. Stock trucks, council vehicles, tourists and locals were ploughing their way through it making the holes deeper and deeper. The contractors bogged graders, front end loaders, excavators and their own trucks trying to get the water off the road. The council would close the road but that makes no difference really, cause they don’t tell us, they just trot out and put a sign up near town saying road closed. All it does is stop tourists and gives the mail person the perfect excuse not to deliver our mail. They had the road ready 3 times to lay the bitumen, but they went away for their break instead of doing the job and it rained and stuffed the job up again. 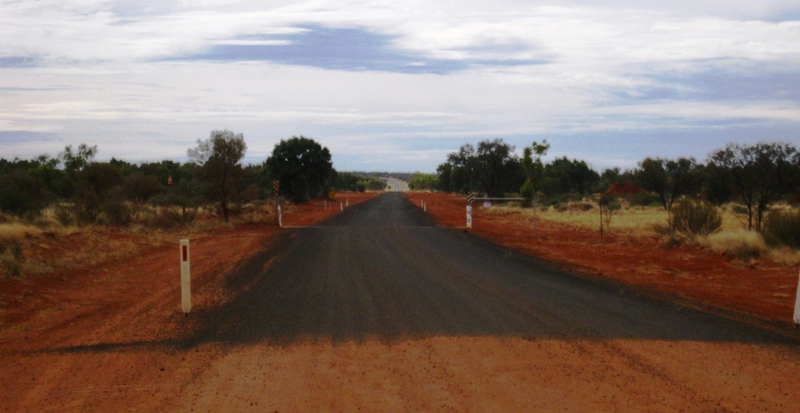 BUT third time lucky – the crossing is at last finished – beautiful bitumen laid right across the 2 channels of the creek! Hope it doesn’t wash away next time the creek runs! The newly completed crossing. It was a difficult job right to the end as the truck delivering the screenings broke down and it was also found that even though the prepared road surface looked fine there was still one very wet patch fair in the middle of the road..